Notes: Kilitbahir Castle (Turkish: Kilitbahir Kalesi) is a fortress on the west side of the Dardanelles, opposite the city of Canakkale, where there is a corresponding fortress (Kale-i Sultaniye), from which �anakkale takes its name. 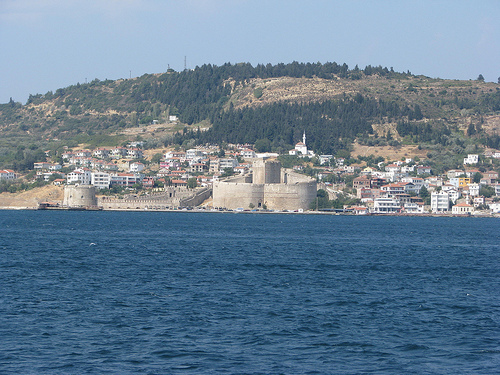 The two castles were constructed by Fatih Sultan Mehmet in 1463 to control the straits at their narrowest point. Kilitbahir's name, meaning "lock of the sea", reflects this defensive purpose.